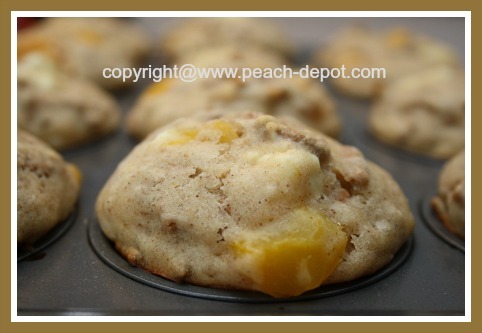 These Healthy Peach Muffins taste so delicious! 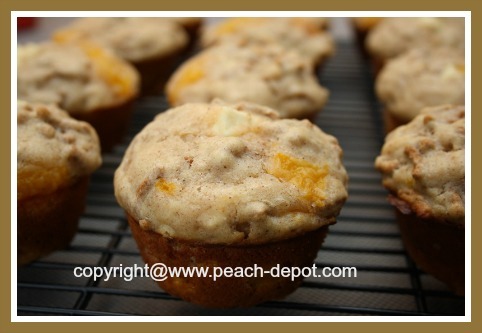 Peaches and Cream Muffins made with fresh, frozen or canned peaches and honey, cream cheese, and all-bran cereal. If you are looking for a great muffin recipe with high fiber and fruit, you have found a choice one here! 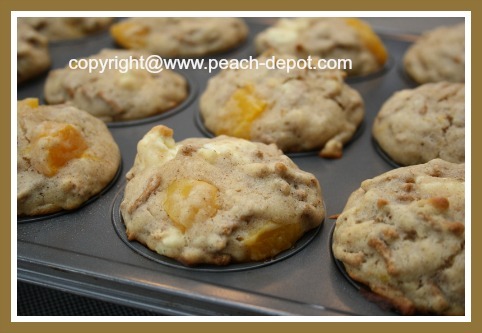 Sink your teeth into these delectable peach muffins, and you get the sweet taste of peaches and cream cheese combined to take your taste buds for a ride! ** or another whole grain cereal that contains very high fibre with no sugar added. Drain the canned peach slices and cut the peach slices into smaller pieces. 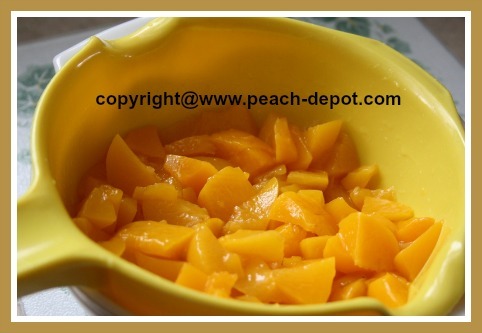 If using fresh peaches peel, pit, slice and chop the peach slices into smaller pieces. If using frozen peaches, allow the peach slices to thaw slightly and then chop them into smaller pieces. Set aside. Cut the cream cheese into small cubed pieces. In a medium size bowl beat lightly beat the eggs with a fork. Add the milk, honey, melted margarine (or butter), lemon zest (optional) and the cereal and stir well to combine. In a large bowl combine the flour, baking powder, cinnamon and the salt. Make a "well" in the center of the dry ingredients and fold in the cereal mixture stirring just until combined. Do not over-mix. 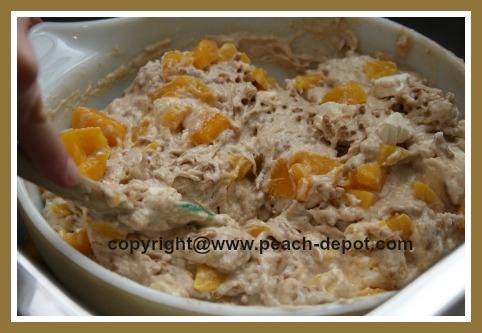 Fold in the prepared peach pieces and the prepared cream cheese cubes. Spoon the muffin batter into a greased or paper-lined muffin tray, filling about 3/4 full. Bake at 400° F for about 15 -20 minutes or until golden brown. Remove from oven and allow muffins to cool on a wire rack. 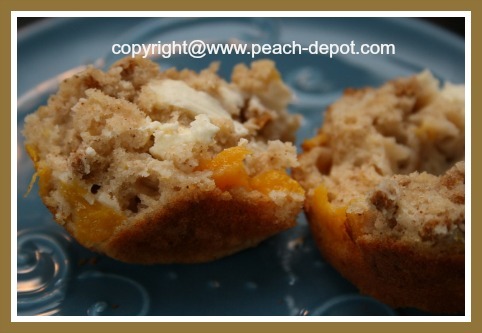 ENJOY these healthy Peaches 'N' Cream Muffins! These homemade muffins freeze well for up to several weeks.